ACL Cables PLC, the country’s No. 1 cable has marked its ascendency amongst Sri Lankan premier brands being ranked amongst the Top 50 Most Valuable Brands for the Year 2016. Showcasing its dominance in Sri Lanka’s cable industry, the organisation is the only cable company to rank amongst the Top 50 Most Valuable Brands in 2016. Compiled by Brand Finance, and presented by Media Services, publisher of business magazine LMD, the recent classification placed ACL Cables in 48th position as per the Brands Annual Magazine 2016. ACL Cables has also been ranked as Number 3 in the building material industry group category. Compared to its 2015 ranking, ACL Cables has moved up 12 slots earning a prestigious place in the Top 50. Companies listed in the rankings are based on a rating after selection aligned to 360 degree criteria which is evaluated through a market survey conducted through independent market research. Additionally, standard benchmarks including performance indicators of a company’s brand strength index (BSI), marketing investment, brand equity (i.e. the goodwill accumulated with customers, staff and other stakeholders) and their impact on business performance are analysed in the computation of the rankings. Each brand is assigned a BSI score out of 100, which is fed into the brand value calculation and choses the most valuable brand through a seven step process. “From last year onwards, ACL Cables has invested considerably in brand building activities. We also looked into smart investment opportunities that maximized our visibility. The recent change in our corporate logo has also contributed to the brand image, providing a new dynamic and vibrant look to the brand. It has also affirmed a closer presence with our consumers and all key stakeholders,” said Suren Madanayake, Managing Director, ACL Cables PLC. “Similarly our latest fireguard campaign that focused on a family-centric promotion helped leverage ACL brand equity. I personally thank all our consumers, dealers and business partners who have journeyed with us over five decades placing their trust in us and helping us achieve this supreme position,” Madanayake added. ACL Cables which began operations in in 1962, today holds a market share of 70% as a group and remains the dominant No. 1 cable company in Sri Lanka. Sri Lanka’s No. 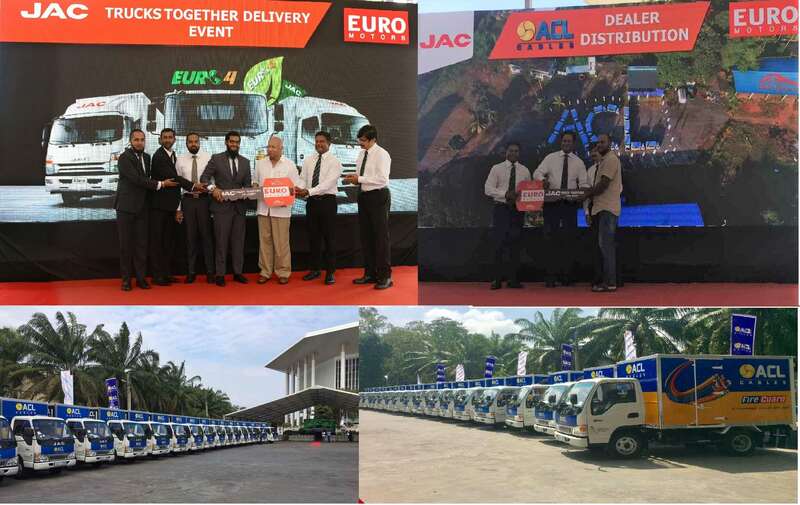 1 cable entity, ACL Cables PLC distributed a total fleet of 48 lorries recently to its entire distributor network islandwide. Showcasing remarkable dominance, Sri Lanka’s Number 1 cable manufacturer, ACL Cables PLC has witnessed a marked rise according to LMD 100-Sri Lanka's leading 100 listed companies 2017/2018 as published by the nation’s premier business magazine, Lanka Monthly Digest’s annual pioneering rankings.